It seems that these days the internet is filled with articles about bugging out. It sounds like many of you have decided that this is a better cause of action than bugging in. That very well may be the best choice for you. The question remains, though, if you are planning on bugging out, even as a last resort, where are you bugging out to? 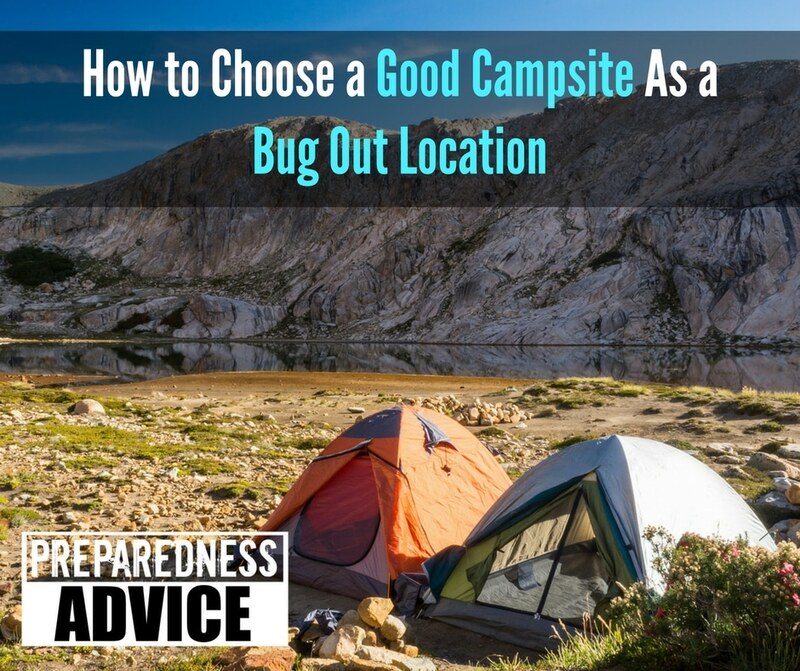 Do you have a bug out location that is stocked and ready or are you going to be one of many looking for a semi-permanent campsite? If you are among the group that will be looking for a campsite, here are some suggestions that may help you. 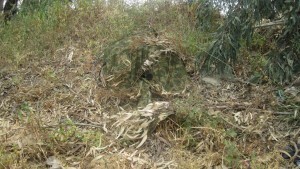 Avoid privately owned land, if possible. National and State parks, forests and wildlife refuges are all possibilities. The park rangers will probably be home taking care of their families in a dire scenario. This also means there won’t be any law enforcement, so choose your location carefully. Get out of sight of roads, railroad tracks, and other areas where people are likely to be traveling. A very detailed map of the area, including topography, will help you identify spots that are far enough away from highly trafficked areas and yet be accessible for everyone in the group or family, including children. Defensibility — The campsite should be surrounded by natural obstacles, limiting access. High ground is preferable, for visibility. However, visibility works both ways. Don’t get silhouetted. Once you’ve found a spot that works for you, you can always add “man made” obstacles, such as large boulders, felled trees, and the like. After a rainstorm or two, they will very likely blend in with everything else and the man-made aspect won’t be obvious. Think wildfire. Always take this into consideration during fire season. Make sure you have a way to evacuate, if needed. This puts you in a dilemma — do you stake your campsite far from any human contact and, thus, limit virtually any evacuation route or stay nearer to civilization in case the worst happens? It will have to be your call and could also depend on the season and current weather conditions. Stay out of low-lying, green, grassy areas. These will collect water if it rains and the ground may be damp, although they may appear at first to be an idyllic location. You will also be easy to spot. However, camping near one of these meadows may be helpful when hunting wildlife, since they provide grazing areas for deer, rabbits, and other mammals. Camp uphill from streams or rivers. This will protect you from flash floods and sudden rises in water levels created by releases from dams. Keep in mind that water weighs about 8 pounds per gallon, and you’ll need at least one gallon per day for each person in your group. For me, access to a reliable and convenient water source trumps just about everything else on this list. Make sure your preps include the absolute best water filter on the market. My choice is always Berkey — you just can’t beat it. To save money, buy the filters yourself and turn it into a DIY project with a couple of buckets. The beauty of this DIY and bugging out is that you can pack the filter supplies in the buckets, along with other gear and be ready to put it together at your bug out location. Look for protection from wind and storms. Check the site for poisonous plants, dangers of falling rocks, overhanging branches and animals, and teach your kids and grandkids what to avoid. Stay back from standing water to avoid insects pests like mosquitoes. Stocking up on mosquito pellets and mosquito netting would be a wise move. Look for a flat place for your bed and campfire. Is there a good source of firewood and kindling? Check for food sources: edible plants, animals, fish. Check for the availability of good water, but don’t be too close. Water will attract people, bugs and wildlife. Be aware that others, once finding a water source, my decide to camp there as well. In the winter, it will be colder in the bottom of ravines and valley or near low-lying rivers. Camping 20 – 30 feet higher can make the difference of several degrees. If your gear is in bright colors make sure there is enough brush and grass around to camouflage them, but if you have the choice, from now on only buy gear that will blend in. Keep your cooking area separate from your sleeping area. Odors will attract wildlife and possibly people. People can walk right by a well hidden campsite. Now I have given you a list of all the best options for choosing a campsite for a (temporary) bug out location. If you have to hide from people, you may have to make some hard choices and break many of these rules. Personally, I will bug in until it becomes more dangerous to stay than to leave. The roads will be a rough place. For me setting up a semi permanent or permanent campsite is one of my last options. Keep in mind, that as members of your group/family age, you’ll have other issues to take into consideration. This entry was posted in security, Shelter and tagged campsite. Bookmark the permalink. Very informative. But like you, my husband and I are retired and the option of bugging out is definitely out of the question. So, we will be staying put. We are putting into place all the safeguards we feel will be necessary for us and our area. Have met some really good like- minded neighbors, with same goals, strategies and beliefs. What a blessing for us that our Lord has directed us to this place.